Want a gift idea? 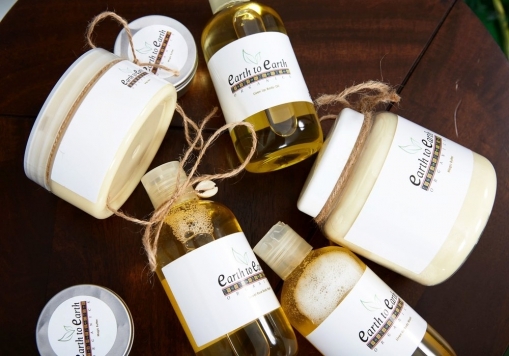 Look no further than our Earth to Earth Gift Hamper. The set includes: our scented 250ml body oil, 250ml body wash and our 200g Magic Body Butter. Available in both our trademark scents: Sweet Rose and Liven Up. Presented in a reusable basket and gift wrapped, it will be a gift to remember. Or if you like, treat yourself. PLEASE LEAVE US A NOTE OF WHICH SCENT YOU WOULD LIKE.